Posted by Administrator on November 28, 2018. 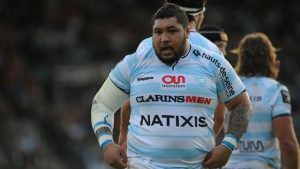 While it is still very uncommon to see the glorious sight of a front-rower running, ball in hand, legs frantically pumping and running in to score a try, one may argue that such is the increase of athleticism in Rugby that we do tend to see it more frequently than before. It seems that actual running, passing and even kicking skills are now no longer limited to the realm of the backs but also pops its head up amongst the forwards throughout the game. Brodie Retallick sold one of the greatest ever dummy-passes in recent history against Australia recently and Maro Itoje would arguably do well as a center in any backline. 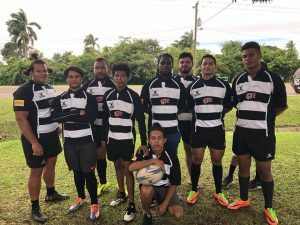 But to the older generation of Rugby fans – especially those that have been blessed enough to play in the forwards – there can be no doubt that the epitome of a forward’s utility lies in his ability to perform well in the scrum. In fact, some opinions consider a good forward would rather have wet weather, constant knock-ons and forward passes for the sheer enjoyment of being able to have as many scrums as possible within the 80 minutes. Modern Rugby scrummaging can be a wonderful sight to see. 800+ kilograms of brute force perfectly positioned and aligned like an eight-man fist, applying tactical force on each other in order to secure the ball. Or it can be a painful waste of time with collapses and resets, repeated over and over again, not to mention the possible injuries that can be sustained. However, history shows us that just as Rugby has evolved, so has the scrum and that its current form is definitely more structured, controlled and arguably safer. 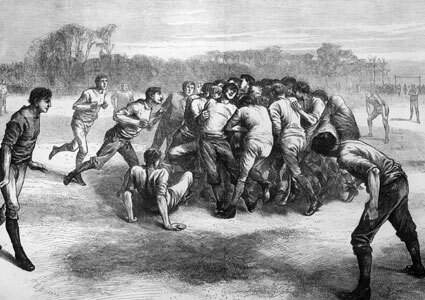 The scrum was initially intended to kick the ball TOWARDS the opposition try line and in the early days of Rugby, much of the game revolved around pushing each other and kicking the ball by “forwards” who could number up to 50-60 in each game. Many kicks were directed towards shins and should the ball happen to miraculously exit and be picked up, the immediate tackle would result in the attacking player calling “Down!” whereupon another “scrum” would take place. Calling “Down!” is where the origin of downs in American Football comes from. “Heeling” the ball was considered by many to be a betrayal of the principles of the game as late as the 1890s. Once open play proved to be a more enjoyable game to watch (thanks to some innovative thinking by northern England clubs), scrums evolved into trying to GET the ball instead of trying to kick it away. However, there was no designated position in a scrum and up to the 1920’s, whoever got to the spot first would form the front row and others would join accordingly. 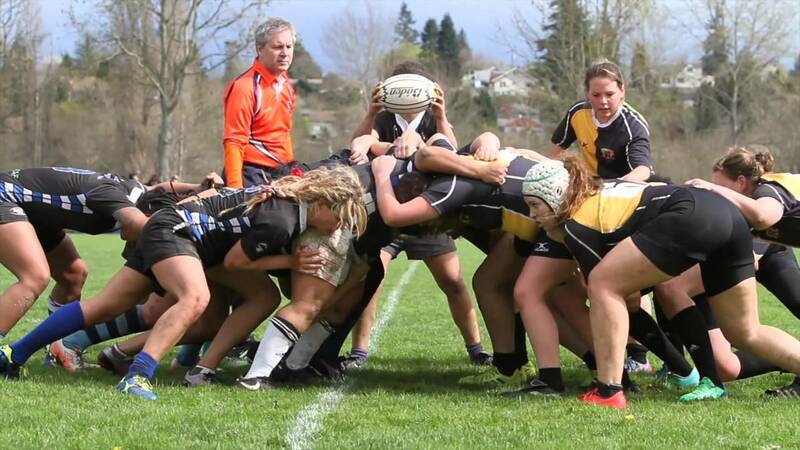 In fact, there was very little difference between a scrum and a ruck. New Zealand “invented” the 2-3-2 diamond scrum formation with the extra front-rower acting as a “wing forward”, providing an extra man in the backline who would enter the front row when it was his side’s feed. New Zealand continued to play the diamond scrum until the IRB changed the Laws enforcing a three-man front row in 1931. Loose forwards were not required to bind to a scrum right up to the 1960s and this was the decade that the number 8 was also allowed to detach himself from the scrum with the ball and run or pass it. Argentina produced some of the most powerful scrums of the 1980s with the “bajada”, a technique whereby little steps kept their scrum moving forward. This was during the era when there were no calls at scrums and forwards packed down at will with the space between packs not regulated. You can imagine the risks and injuries sustained. 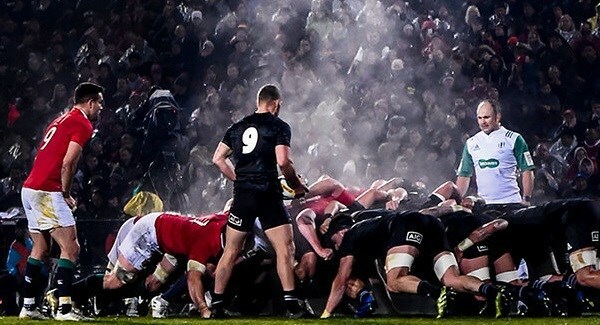 The four-step “crouch, touch, pause, engage” amendment to the scrum laws was enforced in 2007 and also included regulating the distance between the front rows and as a result reduced the number of injuries by cutting the force of impact from engagement. The IRB reduced the four-step call to three in 2012-2013 and changed the call to “crouch, bind, set”. This change required props to bind before each pack can push, reducing impact at engagement. Referees were also asked to focus on scrumhalves feeding the scrum in straight. The 2017-2018 season saw World Rugby conducting trials where scrumhalves would still be required to feed the ball straight but be allowed to keep their outside shoulder on the middle line of the scrum. 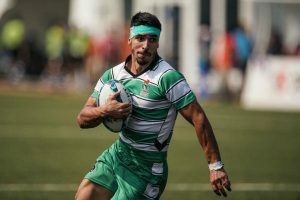 All front row players will also be allowed to contest the ball as soon as it has touched the ground, and the number 8 may pick up the ball as soon as it has reached the feet of the second-row players.